When I was a kid "going to the movies" meant going to one of the indoor theaters in Janesville or to the drive-in theater between Milton and Janesville. We didn't have television until long after most other folks did and when we got one it was a black and white set with a small screen. Movies at a theater were an entirely different experience. 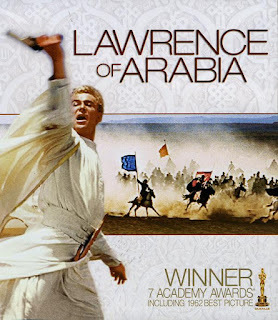 In 1962, while I was in high school, I saw David Lean's Lawrence of Arabia for the first time. I think it made a stronger impression on me than any film I'd seen up to that time. It's a story of the Arab revolt against the Ottoman Empire during World War I and particularly the role played by T.E. Lawrence in it. 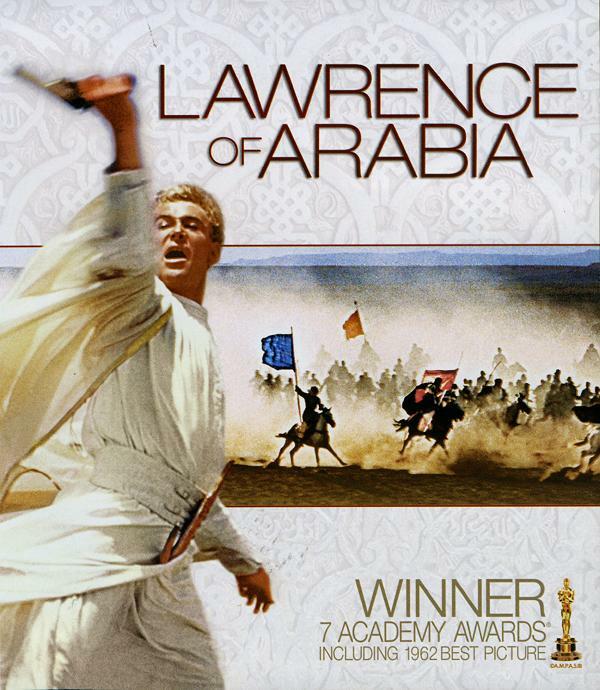 The acting was perfect [Lawrence played by a young Peter O'Toole, with Alec Guinness, Jack Hawkins, Claude Rains, etc. ]; it was spectacular, with great cinematography, an impressive score by one of the best film score composers, Maurice Jarre, and a good story involving real historical personages [but, as I later learned, not necessarily accurate history]. It was also my introduction to films by David Lean who became a favorite director [Great Expectations , Oliver Twist , Doctor Zhivago , The Bridge on the River Kwai , among others]. I always wanted to be able to own movies so that I could watch them whenever I wished. First videotapes and then DVDs made that possible. I've probably gone overboard. This is one of the films I've owned in every form since it became possible. And now Lawrence of Arabia [Blu-ray] , fully restored, DTS audio, on two discs, has arrived. I anticipate a thoroughly pleasurable evening.